Kris is known as a full-service agent who handles each transaction with integrity, attention to detail, and assertive client representation. As a buyer's agent she can find the right home, negotiate the right price, and refer the best loan program for that individual buyer. As a seller's agent her marketing ability is complimented by her experience in achieving the greatest profit potential for each home. A native of Dallas, Kris, specializes not only in Highland Park, University Park, Preston Hollow, Lakewood Turtle Creek, and Uptown but also in markets such as Addison, Plano, & McKinney. Kris is knowledgeable in all aspects of various types of properties such as condos, townhomes, lots, and single-family living. She has listed such developments as Highland Gates in Highland Park and Lomo Blanco in Oak Lawn. 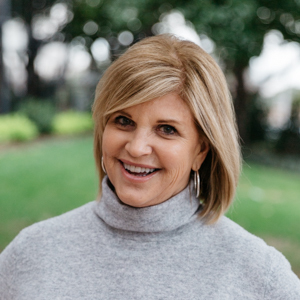 Kris enjoys working with developers as well as her many individual clients, creating an energetic and seasoned approach to real estate that is backed by 20 years of experience selling in Dallas. Kris has been involved in the Dallas community serving on boards, and fundraising for several organizations such as Dallas Junior League, CARE, Ronald McDonald House, CASA, ESD, and Church of the Incarnation. Kris is a real estate agent that listens, negotiates, and understands your needs and your dreams! Let Kris help you with your real estate needs today!